Fifteen Minutes sees their work as a mission to shape the futures of businesses that need to improve their messages. 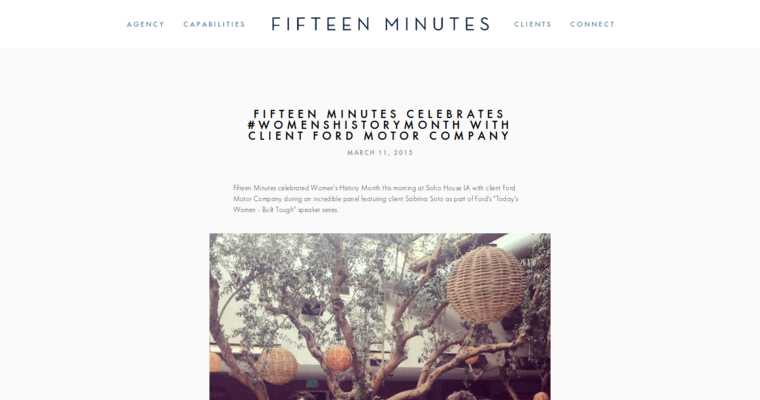 Known for supplying outstanding public relations services to e3ntertainment and lifestyle brands, Fifteen Minutes looks for new clients who can benefit from a fresh, unique and innovative approach to particular publicity challenges. Rather than simply launching campaigns, Fifteen Minutes builds identities. Regardless of whether you have a brand that was tarnished from negative media exposure or if you are looking for ways to get noticed above the noise, Fifteen Minutes can help. After consulting with the professional strategists at the firm, you will receive clear advice that can pave the way to a prosperous and profitable future. 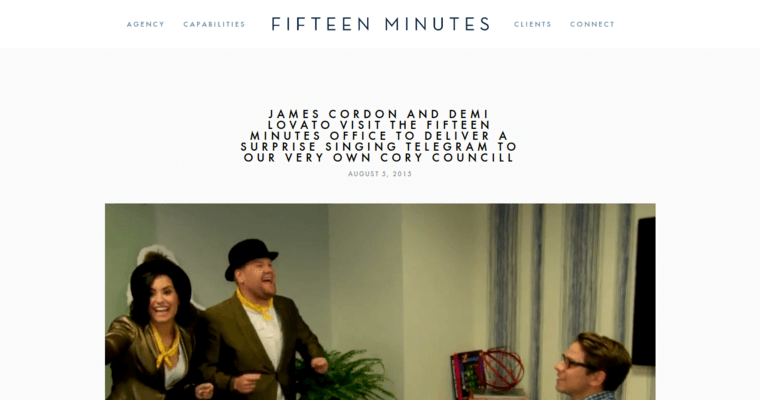 The Fifteen Minutes team also employs world-class creative talent and a network of industry influencers that can craft the perfect omni channel publicity campaign that helps you achieve your goals.